Tomorrow is the First Friday of June. I am not sure how many of you know that on each First Friday of the month a good number of faculty and staff members sign up to spend time in the Meditation Chapel of Campus Ministry during their free period to pray for the school community. During the hours of the school day there will always be a person there praying for the rest of us!! This practice is part of a long tradition in the Catholic Church of perpetual adoration on First Friday—a day dedicated to the Sacred Heart. Now you might be saying—why are we honoring a part of the body as holy and sacred? The Sacred Heart is the Sacred Heart of Jesus. You may have seen a statue or a picture of the Sacred Heart of Jesus (maybe in your home or in your grandparents’ home or in your parish church)—often the picture is of Jesus from the waist up with one hand pointing to or touching his heart which is outside of his clothes and is wounded or pierced and surrounded by a crown of thorns. 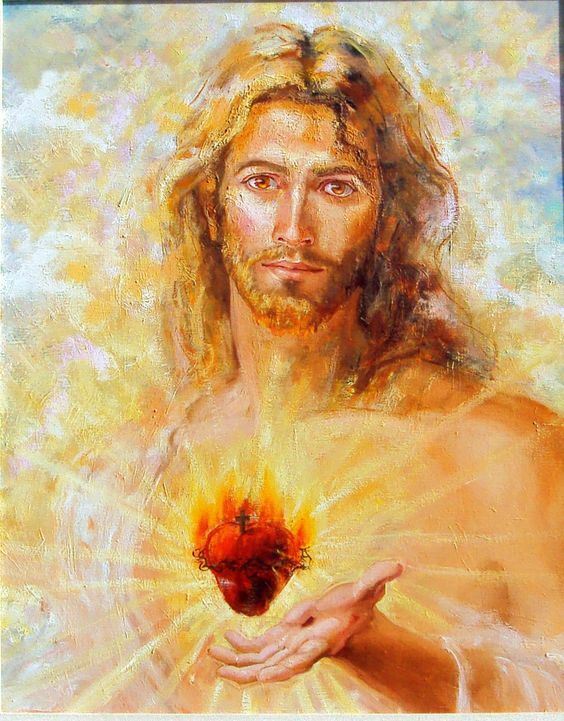 The Sacred Heart of Jesus is a reminder of God’s great love for us—“God so loved the world that He gave His only Son”—and Jesus’ great love for us—“Greater love than this has no person that one lay down one’s life for a friend.” And Jesus did lay down his life for us—for each of us—Scripture telling us that after his death on the cross one of the Roman soldiers pierced his side with a lance, pierced his heart to make sure he was dead, and immediately blood and water flowed out. Jesus gave his last ounce of blood for us. It is that heart so filled with love that we remember and honor on First Friday’s and indeed, in a special way, during the month of June which is dedicated to the Sacred Heart (as November is dedicated to the Holy Souls and May is dedicated to Mary, the Mother of God, Queen of Heaven and Earth). 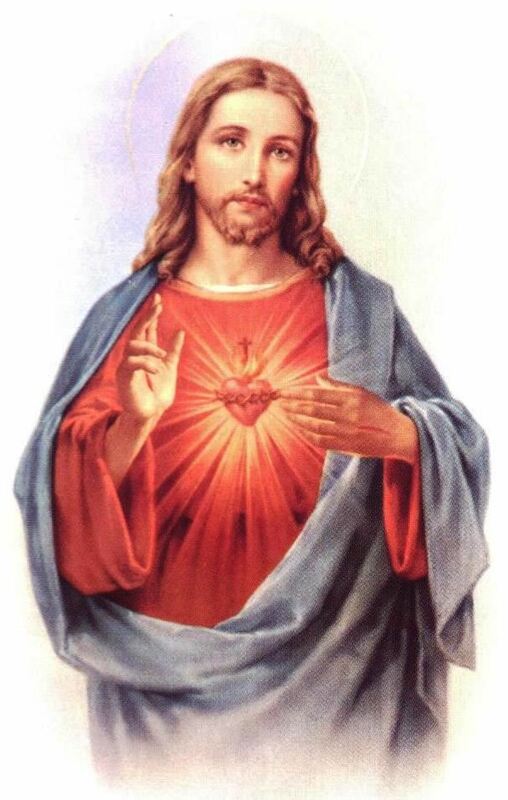 The heart we see depicted in the pictures and statues might look like a Valentine’s Day heart or the cartoon heart that pounds and flutters to depict a budding romance; however, the heart of Jesus is far different from the sentimental, sugary, saccharine sweet heart of commercialism and pop culture. It is a heart of expansiveness, a heart of courage, a heart wounded but still welcoming. And it is this heart that we are challenged to make our own. Each day we Lasallians pray that Jesus live in our hearts forever—we pray that the heart of Jesus come to life in our hearts, that the heart of Jesus become our heart. Now that is a challenge!! How expansive, how open is our heart? Do I welcome the stranger, the outcast, the classmate who is different? Or am I closed-hearted, letting in only those like me? 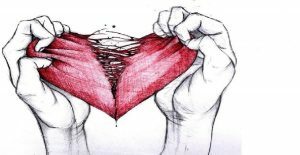 Do I allow my heart-strings to be tugged or am I so hard-hearted that I reject anyone or anything that might deeply touch me? I know that many of you Seniors opened your hearts to those you served in Christian Service. I know that those of you who went to Jamaica opened your hearts to the young people at Mustard Seed—your reflections clearly indicate that. Will I, will you, open our hearts today and allow them to be tugged on or will we close them off—make them hearts of stone, impenetrable, unable to be wounded? 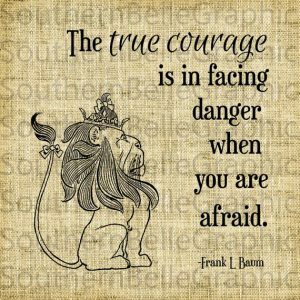 How courageous is our heart? 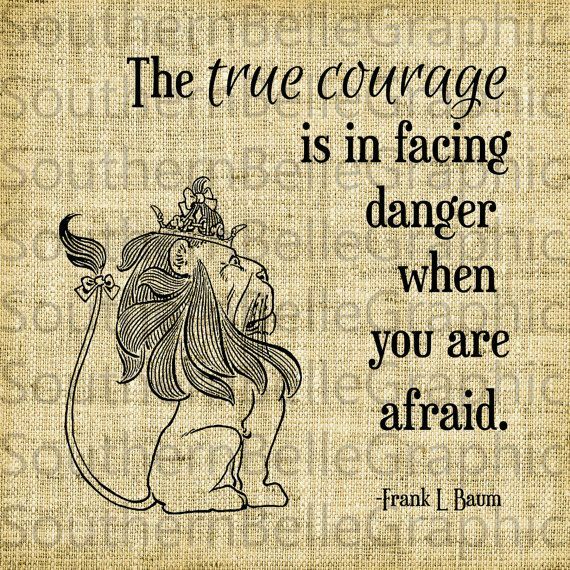 When the lion in the Wizard of Oz sought a heart he was looking for courage. Am I willing to stand up for what I believe? Am I willing to be a leader in my group and put an end to rumors, scandalous talk, bullying, etc.? Or am I weak-hearted and faint-hearted, afraid to say or do anything that might call attention to me? Am I lion-hearted and a brave-heart or am I chicken-hearted and a cowardly heart? How willing am I to allow my heart to be wounded? A sign that we are alive is that we suffer heartache and even suffer heart-break. If our heart does not ache after a heart-breaking loss (as last week in the lacrosse or baseball games) or after a poor performance in our school work, then our heart was never in it—it was not important enough. 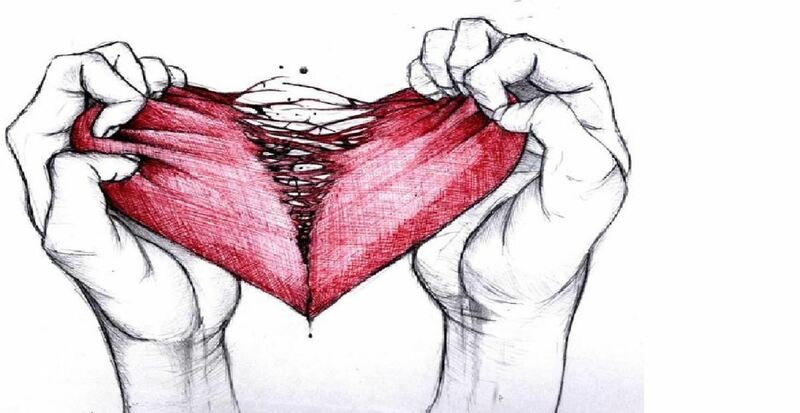 Heart ache measures the strength that we desire something or want something or love something or someone. One need only experience the loss of a close family member through death or the loss of a friend through moving away or the loss of someone we love because our paths move in different directions (as will happen over the next week of so with our Seniors and those of us who have come to care deeply for them)—one need only experience that to know that hearts can break and hearts can ache. Yet, it is in the very woundedness of our hearts that we can become stronger and welcome another dream, another challenge, another person to love. The heart grows stronger when we live through the wounds that inevitably come in life, when we welcome them as part of life, when we welcome them as gift. So, how is your heart today? 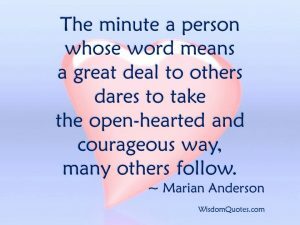 Expansive and open, courageous, willing to be wounded for the sake of something or someone you love dearly? Will Jesus find in your heart, in my heart, a resting place today for his Sacred Heart? Let me suggest that tomorrow you make some time to visit the Meditation Chapel of Campus Ministry during part of a free period or during part of lunch. Be quiet, check your heart beat and see if the Heart of Jesus is beating within you. Pray for the school community, pray for your classmates, pray for the Seniors who will be experiencing some heart ache, if not heart break, over the next week as they leave a place they have called home to venture into places they do not yet know. And pray that they have an enjoyable and safe Prom tomorrow night. Let us pray: Heart of Jesus, full of goodness and love. Have mercy on us! Heart of Jesus, source of all life and love. Have mercy on us! Heart of Jesus, patient and most merciful. Have mercy on us! Heart of Jesus, make our hearts like yours—full of life and love, holy and pleasing in God’s sight. AMEN. May the Heart of Jesus live in our hearts…Forever. Your Excellency, Bishop ­­­Evans; Brother Thomas; Mr. Kavanagh; Representatives of the Diocese and the Brothers of the Christian Schools; Members of the Board; Faculty; Alumni; Parents; Guests; and fellow members of the graduating Class of 2017. Everything we’ve worked for the past four years has led to this very moment. A moment where we take time to reflect on what an incredible journey it has been. It’s a lot to absorb. If it’s too intense, just pause, and think about Mr. McGinn’s basketball skills from beyond the three point line. It takes a lot of courage to send an email of yourself shooting an air ball to a class of 326 students. But that captures what our dean represents. Humility, humor, and so many other virtues. That’s Mr. McGinn. Someone not afraid to sing karaoke at the Christmas movie night, nor someone afraid to walk around during every lunch and ask if everyone’s “hangin’ in.” He was a dean who, during a class assembly in the theater or the auditorium, could transition so effectively from the crux of a serious message to calling out an unsuspecting student about dress code in the back row. He deserved the video our class made of 100 reasons why we love him. And so with the acknowledgement of one of our strongest mentors, role models, and leaders over the past four years, let’s now move to our class- what this class has done, what this class will do, and what this class’ legacy will be. Here at La Salle, our mascot is the ram. And I think that the ram is so appropriate to describe our class and our journey. For example, there were times when we butted heads. We butted heads with each other, our teachers, our parents, and even ourselves. But all the hardships we faced were a necessary part of high school. Hardships ranging from growing up, to changing relationships, to resisting an increasingly materialistic culture, to frustration about schoolwork, to difficult losses on the athletic field, to waking up to that same blaring alarm on a cold morning that only an iced coffee from La Salle Bakery could fix. But after every hardship we faced as a class — we bounced back like the Patriots in the second half of Superbowl 51. The times when we butted heads with each other, our teachers, our parents, and our alarm clocks didn’t stop us from climbing the tallest of mountains. What defined this class was doing more than 8:30 – 2:30 every day. Every single person in this class found something they cared about at the Academy both during and outside of classes…they found a place where they were happiest. This class achieved extraordinary feats in the classroom, was involved in clubs, won countless state championships, put on successful plays, performed in distinguished concerts, showed wild school spirit, and served our community. As rams, the difficult terrain we navigated didn’t stop us from keeping a resilient sense of humor and positivity. It didn’t stop us from dancing on top of lunch tables, having tailgates before a big game, or just laughing with friends until our stomachs hurt. As seniors, we’ve enjoyed a senior-only parking day, movie nights, a dodgeball tournament, and free Palagis during lunch. And throughout these four years we’ve learned to be comfortable with one another. It’s clear we came a long way since awkwardly singing the La Salle fight song in bright yellow t-shirts with Mr. Finnegan during a sunny freshman orientation. Every individual in our class is just that-an individual. Over the past four years, we have met and interacted with people who come from unimaginably different backgrounds and cultures. And at La Salle we are encouraged to celebrate that diversity-that diversity of thought, culture, and religion. But paradoxically while we’re all different, while we’re all individuals, we’re also all the same because La Salle is something bigger than all of us individually. As members of the La Salle Academy Class of 2017 we represent the classes that came before us, and pave the way for every class that will come after us. Together, we pay tribute to our identity as a Catholic school which executes the vision of St. John Baptist de La Salle-to unite men and women of diverse backgrounds in the pursuit of faith, service, and community. Our journey up this mountain of high school allowed us to fulfill the essence of our collective Lasallian mission. Just like rams sacrificed in the Old Testament, we were called over these past four years to be, and continue to be, living sacrifices for those who need us most in our community through our service. As a class we have touched the lives of others in our local community through Lasallian Youth and Christian service, our national community through service trips, and our international Lasallian community through partnership with our sister school in Rongai, Kenya. The world needs young men and women like us. But we also remember the less glamorous moments-frantically trying to submit an essay on Google classroom 10 minutes before midnight, cramming late into the night for an exam the next day, or matters more serious like getting in a fight with a close friend, or losing loved ones. No matter where we go after this point- whether we go to college, take a year off, start a business, serve in the military or the Peace Corps, pursue a religious vocation, work to provide for family, whatever we do- Let’s strive to learn more, to achieve more, and to serve more, each and every day. That’s what we’re capable of, and that’s what La Salle calls every one of us to do now and forever. But I’m not worried about our class- a class that’s been defined by doing whatever it takes to make it happen instead of just taking in the view. So in the same zealous spirit with which we have approached these past four years, congratulations to us, the La Salle Academy Senior Class of 2017. Let me start of by thanking the amazing faculty and staff at La Salle Academy for giving me the opportunity and ability to stand before all of you today. It is very humbling to be here overlooking a crowd of people who have contributed so much to the last four years at La Salle and all of their loved ones. This is one of the first things I say when meeting someone new. You’ve got to start somewhere, and more often than not, it’s with a name. And I’ve just added one more to the average list of 80,000. Yes that’s right. The average person will meet nearly 80,000 people in their lifetime—80,000 different names, 80,000 different stories. Yet, how many of these names do people really hear? Do they really remember? We’ve all got a name, heck some of us even have nicknames. However, every name comes with more than a few syllables. It comes with a reputation attached. Different emotions, associations, memories and reactions stem from each person’s individual nature. The name they’ve made for themselves these past few years through their everyday actions can prove a lot about someone. It is important to remember people’s names. I will never forget an exercise assigned to my Religion class freshman year. Every student was to pick a word that alliterates with their first name. By the end of the week, we were to have everyone’s names memorized for a quiz. It was my teacher’s way of introducing us to one another. I was lucky enough to sit near Ballin’ Brenden and Jogging Joe–two guys I still talk to today. There are common names like Jack and Jill. Then there are the famous names like Beyonce or Madonna. There are names of masterpieces such as “The Quesarito” or “The Big Mac” and then there are names of places, my personal favorite is the one and only… La Salle Academy. The name of my school, my home away from home, and the place I am so saddened to be leaving today. 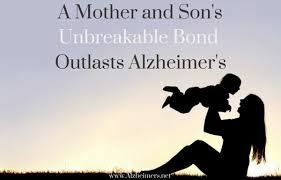 With this name comes emotion so deep, memories so fond and connections so strong, it will be impossible to forget. La Salle is more than just the name of our school, it’s a family name. Similar to any family name, the community here encourages us to wear it well, to wear it respectfully and most importantly to wear it with pride. In the eighth grade, my parents gave me the choice of which high school I would like to attend. For me, listening and seeing people talk about La Salle with such a positive connotation and perception, it was a “no brainer.” These people were proud of the name they wore, and I have been too since I decided I wanted to be a Ram. Over the years I have built up quite a large stack of La Salle gear. In fact I have a whole drawer of my Pottery Barn set dedicated to all of the items I’ve collected. I tested a theory that began my sophomore year, when I was convinced my La Salle crew neck was a magnet. No matter where I was, Stop and Shop, a Gwen Stefani concert, the Fort Lauderdale airport, people always seemed to recognize the name written across my chest, and came to speak to me about their glory days. That starts from within. It is the people inside this building tonight who have contributed to La Salle’s name. It is the 146 classes before us who have done their share, and will continue with the thousands of students, families, and faculty members years from now who will do theirs when the time comes. Anyone who has ever looked in a baby book knows each name has both a meaning and an origin. In terms of origin, this school was founded in 1871. However, the Lasallian mission began with Saint John Baptist de La Salle hundreds of years prior. His main goal was to cultivate and educate the minds of young people with a purpose of service and compassion. You could interpret La Salle Academy’s name several ways though. For you could argue La Salle represents many things and being Lasallian comes with countless qualities. However, I want to share with you my own personal meaning and interpretation of what it means to TRULY wear the Lasallian name. Although I have learned endless lessons here, the most powerful one I took out of this school comes from the quote I saw painted on the wall of the cafeteria the day I shadowed. It reads, “Enter to learn, leave to serve.” I studied that wall, and have referenced it daily, promising to be grateful for all that I was about to learn and apply when the time came. So now that the time has come, and when people ask me what I’m doing next year, I tell them that I’ll be attending Loyola Maryland as a Marketing major. Because well that’s my plan. But you see, it doesn’t really matter what I do or where I go if I don’t take what I learned here AND if I don’t take the La Salle name with me. I have come to the realization that the best way to achieve success is to dedicate my life to things that don’t come with a price tag or a degree. It is more important to be open to God’s gifts of faith, hope, and love, and always major in, or practice the concept of service with compassion. These are the things that will truly make us wiser, make us happier and allow us to impact the world. There is so much potential in all of us, just waiting to be unleashed.. So much exploring to do. From our potential, we have an opportunity, and we need to establish our names. So think about yourself and your own journey. How have you carried our Lasallian name from 2013 to today? Our name, La Salle Academy Class of 2017. We did that. We contributed to that name, and today we wear it well. But when today is over, and the graduation celebrations end, how do you plan to honor the family name, the Lasallian name and most importantly, when all is said and done, how do you want people to remember your own name? Maybe it will be in lights on Broadway, or on the door of an elementary school classroom. Wherever it may be, never forget that your name is yours alone and you have the power to make it anything you would like. I know many of you are thinking that years from now there will only be a handful of people from high school whose names you will remember. But quite honestly, if you can look back twenty, thirty, even fifty years from now and remember just one friend or one teacher whose name remains influential to you, then consider that a success. And always remember there’s a man no student here will forget. Saint John Baptist de La Salle—the saint who continually prays for us, the name that we will remember from the place that we will never forget. Congratulations to everyone here tonight. The class of 2017, that’s our name. God bless and welcome to graduation. Recently, I heard a former professor of mine tell a story from his family that moved and inspired me. I’d like to share that story with you this morning as our prayer this last official day of classes at the academy this year. 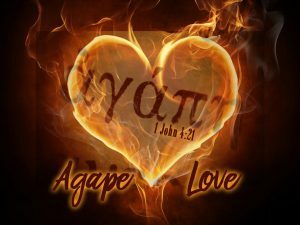 In the Christian tradition, God’s love is referred to as agape—a complete, unconditional, “no holds barred” kind of love. It does not depend on anything we do or do not do. 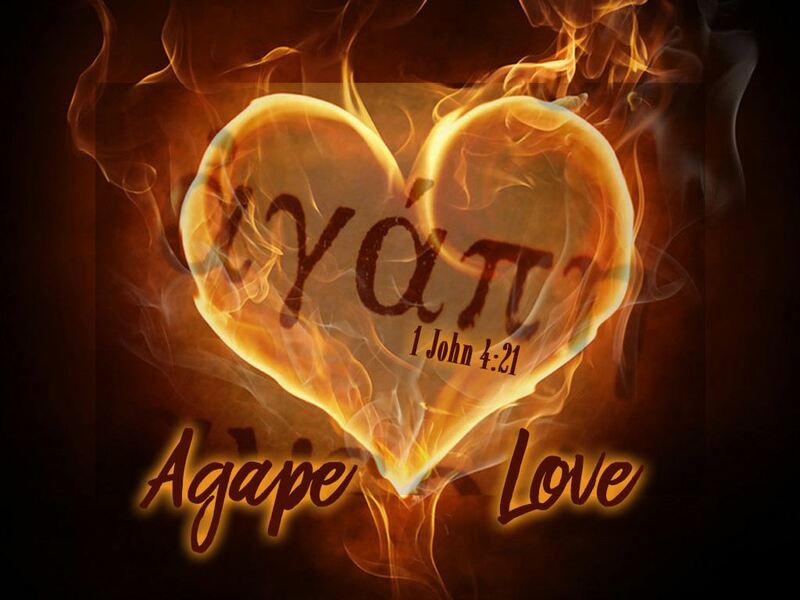 Agape is freely given. And it is that love to which we are called, each day, every day. As we wrap up the 2016-2017 academic year, I’d like us to consider the most fundamental of all questions—-How well have we loved this year? In a school the size and magnitude of La Salle, it is easy to get lost in the minutiae, in the details. If you’re like me, the most honest way to answer that question is to say that sometimes I get it right—I act selflessly and give as Jesus would want me to. But often, I fall short. I miss the mark. I rush to judge another, react out of fear or self interest, and count the cost of loving. 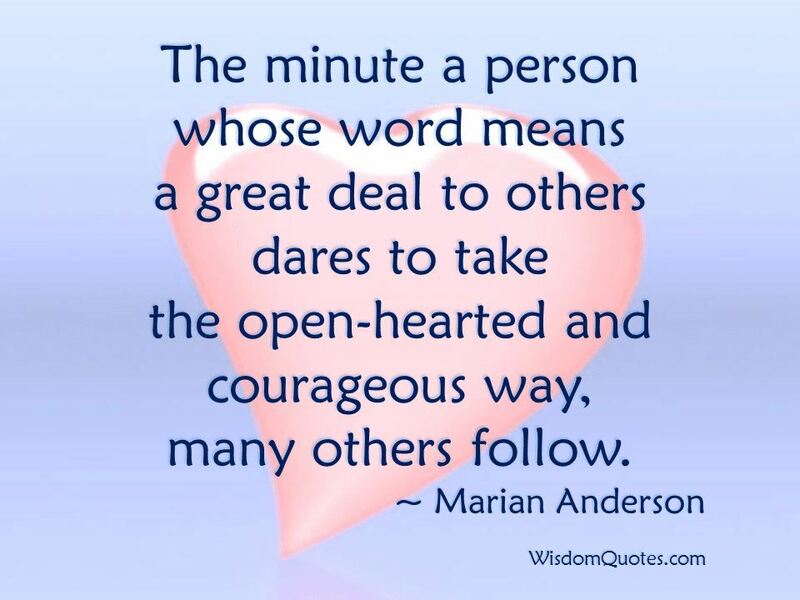 Day in and day out, in our classrooms, hallways, athletic fields, locker rooms, theater, cafeteria, and cars—we have opportunities to learn how to give of ourselves bravely and courageously to one another. In doing so, we learn that we belong to God. We learn that we belong to one another. We believe that you are present wherever love is. Help us to remember that we are not called to success. We are called to be instruments of love and mercy. We can give of ourselves freely, selflessly to one another. And when everything else fades away, may it be said that we loved one another. Live Jesus in our Hearts: Forever! 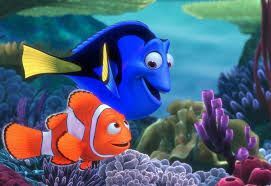 “Fish are friends, not food.” This is a quote from one of the greatest movies of all time, which has taught us some great lessons. And yes, that movie is Finding Nemo. Trust- it’s truly what friends do. It might seem cliche, but trust is the foundation on which friendship is built. Along with trust, mutual love form the pillars of true friendship. 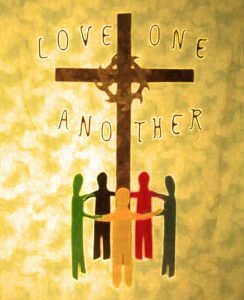 Jesus says the following about friendship in the Gospel of John: “This is my commandment: that you love one another, even as I have loved you. This is how all will know that you are my disciples, if you love one another.” -John 13: 34-35. 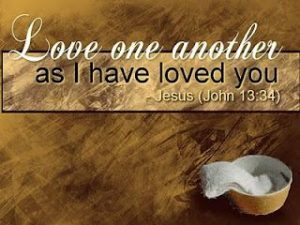 Jesus commands that we love our neighbor- a task that seems rather easy. Being a good friend, student, son, and so on are parts of the way in which I can live out Christ’s command to love my neighbor. But then again, I did talk about my friend behind his back, and copied another friend’s homework because I was too tired to do it last night. Oh, and I also didn’t do the chores at home and neglected to tell my mom that I love her when I left the house this morning. 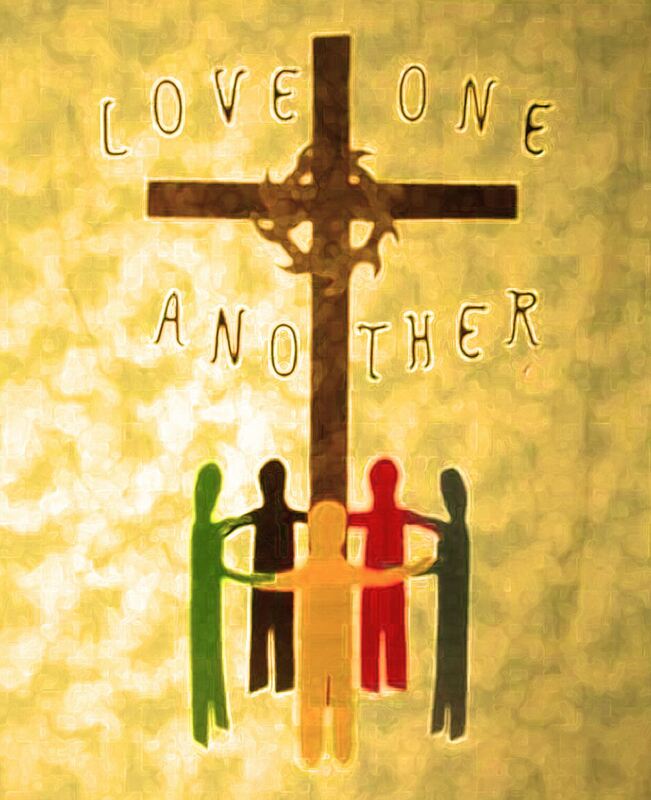 Let us pray: O God, source of all goodness, you have blessed us with friends and have given us the commandment that we should love one another. Keep us faithful to your command and keep us mindful of the people with whom we need reconciliation. Help us to grow in friendship with you, who is the greatest example of friendship. We ask all of these things through Christ our Lord. Amen.